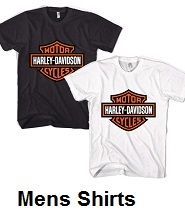 Motorcycle shirts and T-shirts come in many styles. 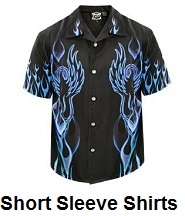 Bikers typically wear a T-shirt to show off their own personal style. 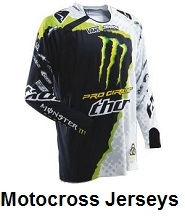 Motorcycle racing or motocross riders usually select a shirt or jersey based on the type of bike they are riding, team they belong to, or sponsors they have. Some motorcycle T-shirts, shirts or jerseys can label a rider into a certain group or organization they may not want to be associated with. 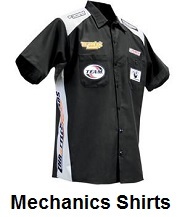 Either way, a motorcyclists should take into consideration the type of shirt they need before making a purchase. 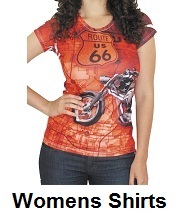 Shop for all types of motorcycle shirts, t-shirts and jerseys for every aspect of motorcycle riding. 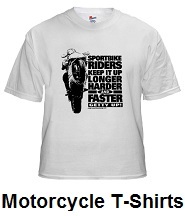 We have shirts, t-shirts and jerseys for every type of motorcycle riding. 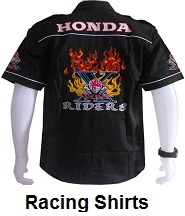 You can find the best deals and lowest prices on all our motorcycle shirts, t-shirts, jerseys. 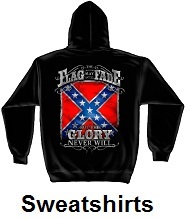 we have shirts, t-shirts, jerseys for bikers, dirt bike riders and motocross riders. all the popular brands. 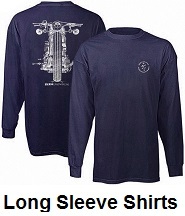 Free shipping on all motorcycle shirts that meet the minimum price guarantee. 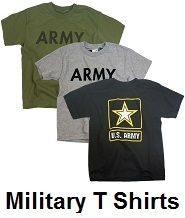 Shirts, t-shirts, jerseys for all types of riding. 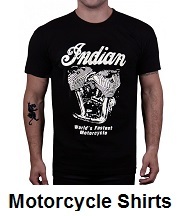 If you ride cruisers, dirt bike or motocross bikes, the largest selection of biker shirts, t-shirts and dirt bike, motocross jerseys, at the best prices. 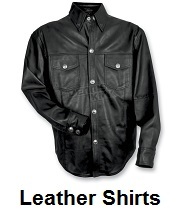 How to select the right shirt, t-shirt or jersey for riding motorcycles. 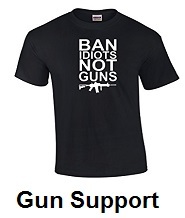 Some bikers will select a t-shirt because it will help keep them cool on hot summer days. 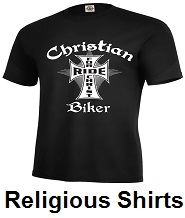 Other bikers will select a t-shirt based on a certain brand, club they belong to, or their own personal beliefs. 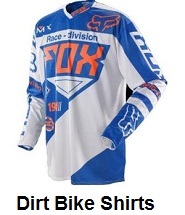 Shirts and jerseys, are usually selected by color for a certain team that a dirt bike or motocross rider belongs to. All our motorcycle shirts. t-shirts and jerseys, come with a 30 day unconditional return policy. Just return any motorcycle shirt, t-shirt or jersey, within 30 days and we will grant a full refund. 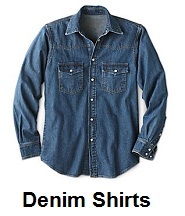 Thank you for shopping with us, we appreciate your purchase of a motorcycle shirt, t-shirt or jersey.